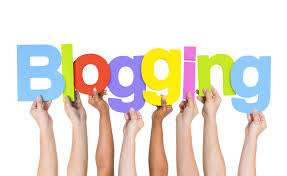 DEBBIE-DABBLE BLOG: What Fellow Bloggers Think of Blogging and What I Learned!!!! What Fellow Bloggers Think of Blogging and What I Learned!!!! 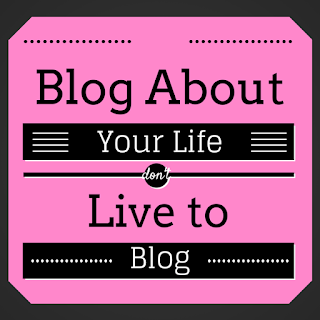 Way back in January, I did a post called Feeling a Bit Disenchanted with Blogging!! That post sparked quite a conversation among some Bloggers and garnered comments from over 50 Bloggers!!! I promised some time ago that I would revisit this topic and I will be doing so in this post!!! 5. 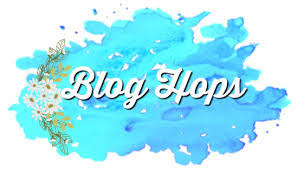 Many like to read Blogs.......Read about the every day life of the Blogger .......about their families, their homes, their gardens and about their trials and triumphs!!! 6. Many like to link up to Linky parties and find them as a way to find Bloggers with the same interests as their own while showcasing their own likes and interests through linking up their Blog posts. 9. Many do NOT care for the "Expert" attitudes that Bloggers now seem to have. 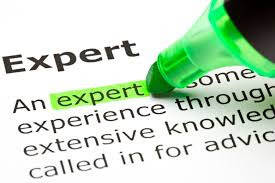 Suddenly, everyone became an "expert" in design, home improvement, etc. without no formal training or education! 10. 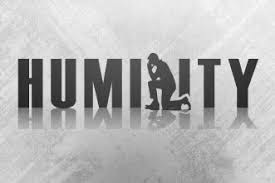 Most think that Humility seems to have been thrown out the window in Blog Land!! They feel that many Bloggers have a "Look at Me" attitude..... "I am famous" or please make me famous! What I have learned from the comments on this post is that while many are not happy with the changes in Blogging, they continue to Blog and read Blogs to be inspired, to make connections with other people who have the same interests, to learn about others in different parts of their own country and in different parts of the world, to learn new crafts and to share new recipes!! Katie over at Let's Add Sprinkles- Keep In Touch Party! Katie just recently did another post on this topic...Peeved! "On another note, y’all — I really want to encourage you by showing that you do not have to jump on the latest trend bandwagon or spend money redecorating with those trends every few weeks to have a stylish and welcoming home. I see constant change - and encouragement/pressure to shop my this and that, buy this here and there, which is just not realistic and certainly not environmentally responsible. Why bother doing Marie Kondo decluttering just to dump the excess somewhere and then get more stuff? I do change things around in my house, but — they are mostly the same old things just moved somewhere else or something I’ve found, restored or thrifted. I do buy new things occasionally but they are few and far between and they are always things I’ll keep or sell if for some reason they don’t work out. You really can just move things around for a fresh look or pack a few things away and bring them out seasonally. Surely I’m not the only one who does that, right? This fabric started out as bathroom curtains years ago then came into the kitchen a few different times, and I made them into a table runner this week. The box I made out of a newell post from the old house several years ago and brought it back as a simple centerpiece filled with real ivy. No big box stores were shopped and no plastic will be dumped in a landfill next week. I LOVE Anita's Blog as her style is so original!!! "I realize I march to the beat of a different drum from everyone else, ok so I'm in a completely different band, but I really want my home to tell *our* story with our things that mean something to us or that were passed down from relatives. I also feel very strongly that there is enough "stuff" already out there cluttering up the planet, so I always shop for antique/vintage/thrift first then buy new as the exception. Your home will then be unique and tell your unique story. And isn't that what decor should do for you?" I definitely agree with Anita!!!!! Her home stood out among the others in my opinion!! And I hope you will be back to visit again soon!!! Your home is certainly unique which is why I like to visit and be inspired by some of the style, particularly with your Christmas decor. My own blog is a journey of my crafting endeavours and the adventures that we have living on an Island. I love to visit blogs from around the world to gain an insight into places that I wouldn't otherwise see. Like you I am not a fan of the advertising and such on some blogs. Equally it is a great way to earn, so each to their own. Have a great weekend. Debbie thanks for this post. It is a breath of fresh air to see that many bloggers feel this way. Many have turned into copies of each other with no personality at all. Your blog stands apart from this trend in that you have your own unique style and your voice is your own. I wish you much continued success! Oh I get annoyed and want to quit blogging at times but I just seem to keep going with it and can't stop. I like to share about what I have crocheted, or made for dinner, and our link party I do with Jess. It keeps me busy and I enjoy visiting other blogs to see what is going on with them. It's the personal connections that I love and getting inspired by others. I hate those blogs with so many adds that pop up and sometimes I will just not read a blog post because of it. I once visited a blog and was locked out of my blog for the whole day because of security reasons and had to have Apple support help me get it back! That was so scary for me and I was almost hacked. Well I love these posts that you do on this subject. I do hope you continue to blog for as long as it makes you happy. I gave up reading many blogs for exactly those reasons. I love to see the things ordinary crafters make or perhaps a glimpse into homes and gardens. I love to leave a comment if I have enjoyed a blog and enjoy reading comments left for me by fellow bloggers. Hi Debbie!Love visiting your blog!Thanks for sharing Sally's blog,great tribute to your dear friend and really a gift for your readers.Hugs! A wonderful and real post Debbie, and that's why I come to your blog every single week. It always feels like I'm catching up with a friend. Blogging has changed a lot and there are very few bloggers who are strong enough to stay real to themselves. I'm not sure if I am. I often find myself getting sucked into the whole trend thing but have been trying real hard to take a step back and feel with my heart rather than my head. It's not easy though. Thank you Debbie for your comment! It has a different style than the normal blogs I follow. I learned a lot. I would like to contact more bloggers in the USA who enjoy and paint porcelain. How should I do? Hi Debbie, Thanks for yet another thought-provoking post. I clicked your link to Katie's blog (which I follow) and left a Comment for her as well. I agree with all of the points in your summary. I hope we can keep blogging "real" and somewhat personal and be accepting of many different life styles, decorating styles, and points of view. As I said to Katie, my biggest frustration is how hard I work on my blog (not all work; I really enjoy it!) and how many Comments I leave on other's blogs and yet, even on posts I've spent forever on (DIY projects especially), I'm lucky to get one or two comments. Then I go on some of the "Big Bloggers" blogs and, as I said to Katie, they'll have 100's of Comments on a new teapot! I guess I just continue on, with no ads, because of the friendships I've made through blogging; they mean the world to me. Have a great weekend! Cheryl p.s. I'm no Spring Chicken either, but am hopefully still young-at=heart and open to new ideas. Your post really resonated with me. Back in the 2000s, I had a quilting blog and made friendships that have continued in real life. I have recently returned to blogging (this time with jewelry making), and have been surprised by the number of blogs that are basically one thinly veiled advertisement. But some blogs I used to follow are still going, and I’m finding a few nuggets within the detritus. I could not find any other way to get in touch with you so i am responding here. Thanks so much for stopping by and for voicing your opinion about blogging!! I truly appreciate it!! Thank you for including me in your list of bloggers who posted about your inspiring blog post. I am honored that you included me. I do want to let you know I love to visit the blog parties you list at the bottom of each post. I get so much inspiration from other bloggers. My husband's health has taken a turn for the worse recently, and though I haven't been able to post I do visit your links as well as other blog lists on my favorite blogs. Thank you from the bottom of my heart for encouraging others to blog about personal stuff and skip the commercialization of the art. Really liked this post. Both as a confirmation that I am not alone in some of my dislikes about blogging and as a reminder to stay as authentic as I can in my own posts! I find your blog post very true to a personal blogger like me. I've been on and off blogging due to with so many ads and "wanting to be famous" type that I encounter. But there are blogs that are personal that I like. That's inspiring and keeps me going. Thank you for this post. Have a great weekend. What I hate are so-called rules imposed on bloggers, especially in terms of so-called marketing and social media. Since I have only time to blog part time, these rules really dragged me down such that I almost quit blogging. Finally one day I decided to not worry about how many times I should post on my blog and how many times and where I should share posts with social media. After all, blogging should be fun! Being consistent and going at a pace that's realistic are important to me now. Thanks for sharing your post. I was not able to get in touch with you anywhere else but here so I want to thank you for taking the time to comment on this post! I think we all need to be true to ourselves when it comes to blogging!! Debbie, it's interesting that this post was the second post I've read today, and it's talking about something that soooo disappointed me about the first post I read today. The first post I read today was on a blog that used to always interest me even though its main focus (as a mommy blog) was not something personally useful to me. But it was authentic, and I enjoyed it. Today I noticed that nearly all her posts are "collaborations," some on topics that have no relevance to her life. Very disappointing. I don't object to bloggers who want to make money, but they need to know that when that becomes their main focus and their authenticity goes out the window, so will their readers! I'm late checking in due to family issues but I really am glad you shared your results. I followed some in the comments but nice to see them synthesized! Hoping to get back into linking soon! Thanks for the synopsis, Debbie of the things we have been thinking about as long time bloggers. I was so ready to throw in the towel but just this week several real life friends commented that they appreciate what I'm posting and that they are inspired. That's what it's all about. That's why I started blogging. I had no idea that there were so many others just like me that want to blog about life, decor, crafting, thrifting and making our homes pretty. I used to take a few items to review. I'm saying no to the tiny number of inquiries that come my way because those companies what cheap or nearly free advertising. 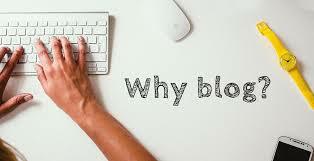 Most people have no idea how much is entailed in writing and editing a blog post. I want to do that for only things that I love. Thanks for the shout out and thanks for revisiting this topic. It's so relevant. Dear Debbie==Kudos and Amen! I know we discussed this a bit about the same time I threw my own hissy fit last year. All the pluses for blogging really don't include the merchandisers, the snake-oil (I can fix you, I'm a pro) salesmen, and the I'm the next biggest thing since SPAM, and I don't mean the cyber kind. If we keep on supporting each other and spend more time being REAL...blogging as we like it will survive. I enjoy posts that interest me, and love the pros who don't hawk merchandise. 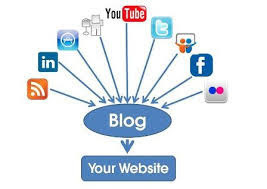 I appreciate ALL bloggers that blog to share, thank-you! What an interesting summary you compiled! #9---Experts! Ha! Long ago I thought it was so silly to say "How To" tile a floor, build a this or a that, when the person writing the "how to" had only just done it for the first and only time! So when I blog about such things, I try to phrase it "this is how I did it" instead of "how to." : ) I'm off to read Sally's goodbye. Oh wow, I didn't expect that. What a pleasant surprise. I've known those verses since I was a child-- Romans 10:9 and 10 are my assurance that it's nothing I can do on my own, just resting in what He has already done. I expected something more along the lines of this: http://amycaldwellbixby.blogspot.com/2011/07/valley-of-shadow-of-death.html a former college classmate. I want to compile important articles/ blogs/ resources to put on my blog and this will be one of them. So just sharing it early, here. Good to know! Thanks for compiling the data! I love your blog, it's nice to come to a unique place with someone who speaks their truth. So many blogs sound exactly the same, and it gets pretty boring pretty quickly. I try to follow a bunch, but there aren't many that keep me coming back. Also, thank you for sharing those posts, the one from Sally had me in tears. And her following seemed to really love her. Have a great weekend Debbie! Myrna emailed me this comment and I wanted to add it as it is something that I guess i did not realize was happening.. I am not a facebook user nor do I have a gmail account. I hate it when the only option to post is having a google account. So I can't comment on a lot of blogs. Not Low tech but No tech. My other upsetting thing is bloggers who only want other bloggers to comment so they get better advertisers. Just saying. Keep up the good work. Thank you so so much for this post. I agree with you...and I have lived both sides of the "blogger problem". I started out as a homemaking blogger, featuring my own recipes and homemaking tips, kids, etc. You linked to my homemaking party for years. Then I became a sponsored blogger, blogging for many big name brands, and blogged much less about the things I just mentioned. I don't at all regret that time---our family was in a time of transition and I was making very good and much needed money to help my husband provide for our nine children. What I do regret is that I spent so much time trying to please the brands that I neglected the community I'd built before the brands took over. I've not done a sponsored post in about two years and don't intend to ever go back to that. We don't need the finances any more and that is not what I want my blog to be about anymore. I'm struggling to get back to what my blog once was---a thriving community of homemakers like me, sharing their every day lives---but I want it to be that again! I actually wrote about that today and was prompted to come check out your post by a mutual blogging friend. I sure would love it if you'd consider linking up at The Homemaking Party again. I would be really blessed to fellowship with many of my old blogging friends again through our linky parties and our fun and personal posts. Your Victorian style is always an inspiration to me! You really hit the nail on the head with this post. I continue to blog for personal and really hate the commercialism that has tried to take over! 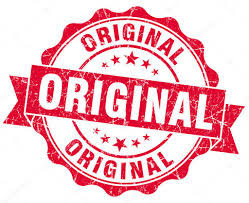 So glad to find others that also like the "original" blogging community the way it was! Hi Debbie - I'm so glad I found your blog through Sarah's Classical Homemaking blog. I feel like I've found a reunion of kindred spirits. Your post hit home with me, too. I've been blogging for nine years or so and also reading other blogs longer than that. I feel so sad when bloggers fall into the black hole of commercialism. I always quit reading their stuff because it just doesn't interest me any more. I follow my heart with my blog. If I don't have anything to say (which is rare) I just don't post that day. I am glad to have blogging as a creative outlet for my interests and passions, and I love reading blogs like yours. I hope you'll stop by my blog for a visit one day soon. So nice to meet you.